The fouta towel Honeycomb 5 Colors Blue & Coral is an amazing fouta. 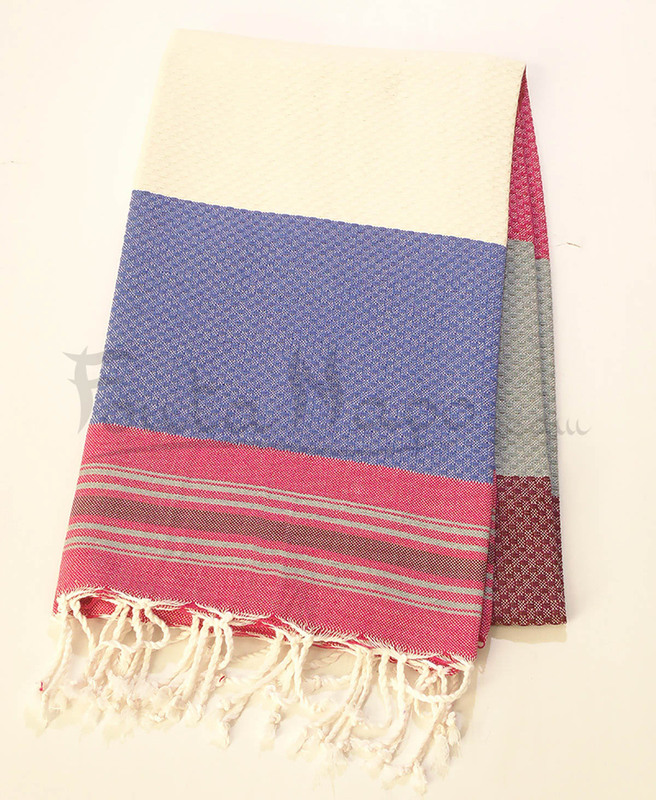 The manufacture of fouta is artisanal, men engaged in weaving with a loom semi-automatic which requires a lot of physical effort, and women generally attach the hand finishing. This fabric is beautiful ,modern and elegant.